There is a moment before almost every game when Bryan Rust takes pause to recall the one piece of advice that he’s never forgotten. 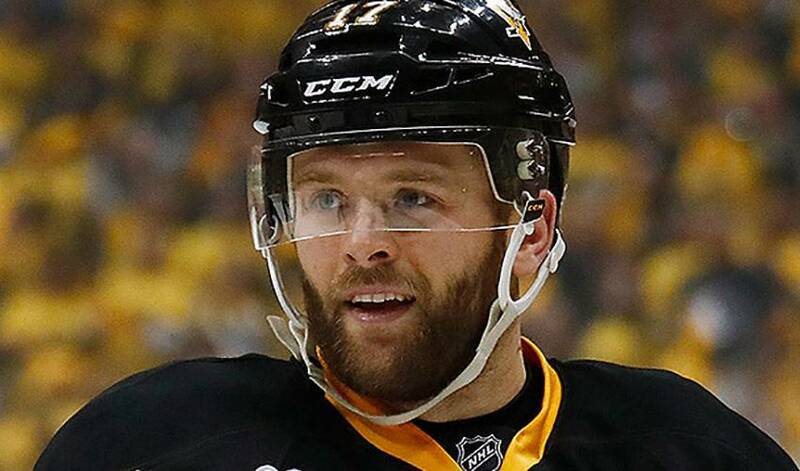 In the minutes leading up to Pittsburgh’s Game 7 Eastern semifinal showdown against Washington, Rust was likely reminded of what he was told well before he became one of the NHL’s clutch playoff performers. Rust has used those words to good effect. After some rough patches at the University of Notre Dame, Rust netted 15 goals and 34 points as a junior. He had an eight-game point streak, led his squad with a +25 rating, and was named to the all-tournament team at the Ice Breaker Tournament. In his senior year, Rust led the Irish with 17 tallies, including his first hat trick with Notre Dame, and recorded two points or more in eight contests. He was also selected as the Charles “Lefty” Smith Coaches Award as the team's unsung hero. Fast forward to his relatively young NHL career – he’s played in 112 regular season games – and Rust is anything but an unsung hero. In Game 7 against the Caps, it was the Michigan native who snapped a scoreless tie in the second period, pacing the Penguins to a 2-0 road blanking of the Capitals at Verizon Center. Last season, Rust lit the lamp twice in a Game 7 win over Tampa Bay in the Eastern Conference finals. Just call him Mr. Clutch. And although Rust has plenty to boast about, there’s no big talk or big ego. Ask him what he did to be effective in a playoff game, and there’s zero talk of goals or assists. Rust, who was injured in the first period in Game 2 of Pittsburgh’s 1-0 Eastern final win over the Ottawa Senators, once again recalled the advice he received from his former minor hockey coach, words of wisdom he’s no doubt heeded.